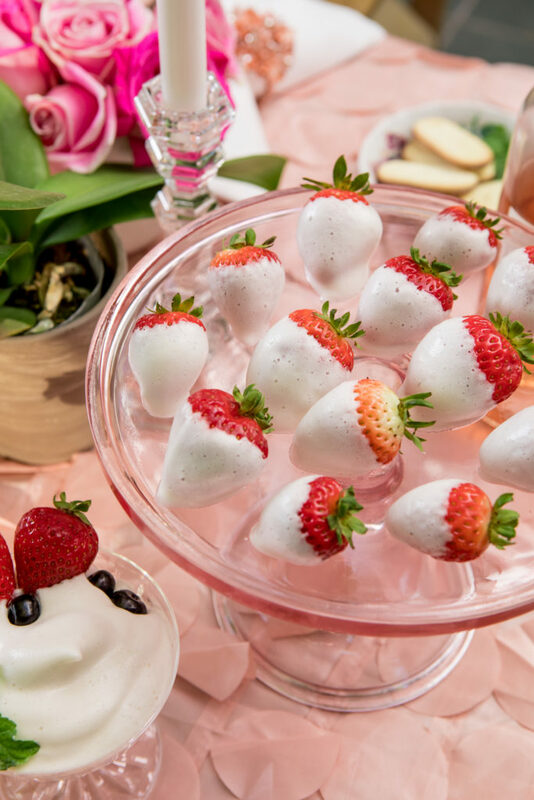 Beat the restaurant rush on Valentine’s Day and prepare a romantic dinner at home instead! Do you avoid crowded restaurants and prix fix menus on Valentine’s Day like me? I always feel rushed and in a hurry to eat until the next batch of customers come through. That’s why I wait until another night to celebrate Valentine’s Day, or better, yet, I serve dinner at home. 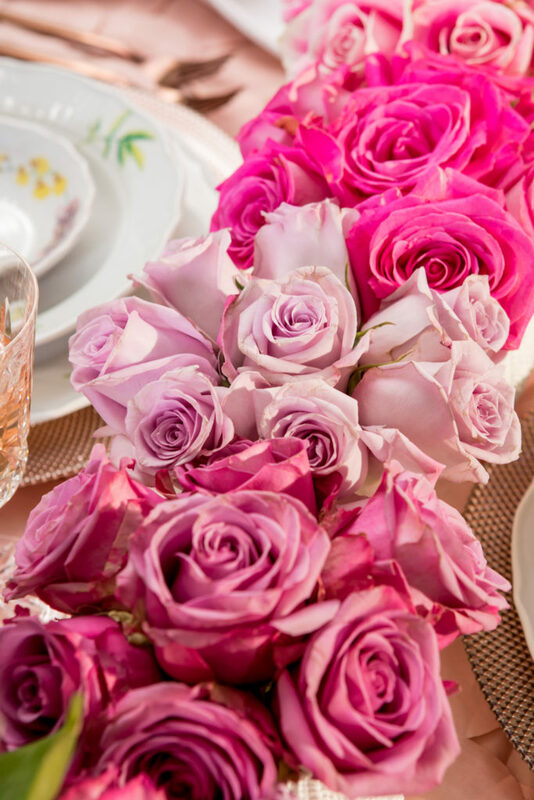 Here’s how to set your very own romantic Valentine’s Day table for two. 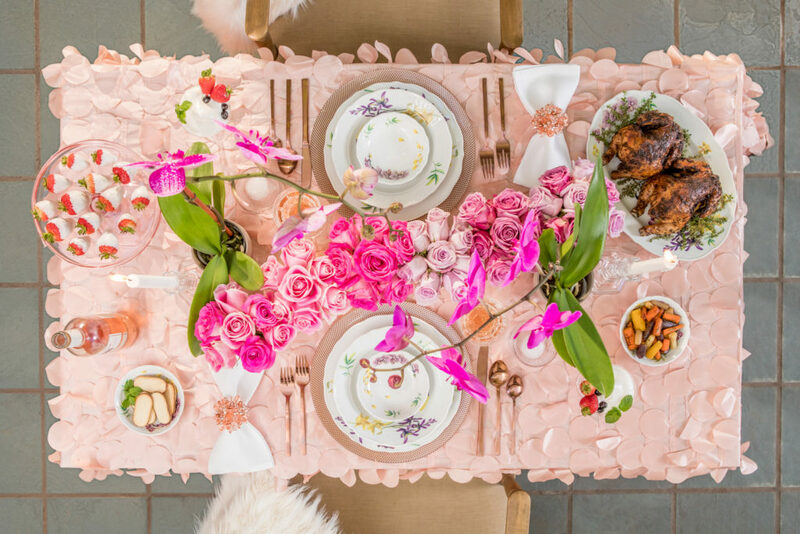 I recently collaborated with my friends at Grateful to create this table with a menu fit for a king or queen! 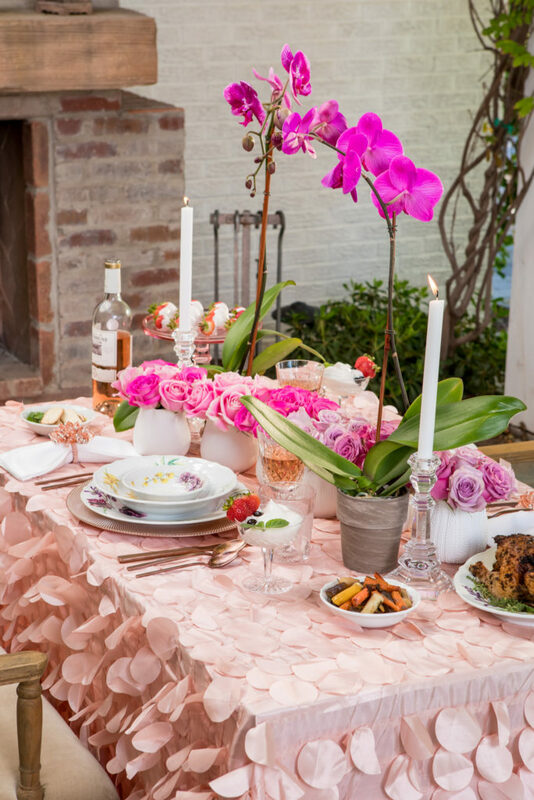 Such a showstopper, this blush-colored, raised petal taffetta tablecloth couldn’t have been more perfect for this occasion. 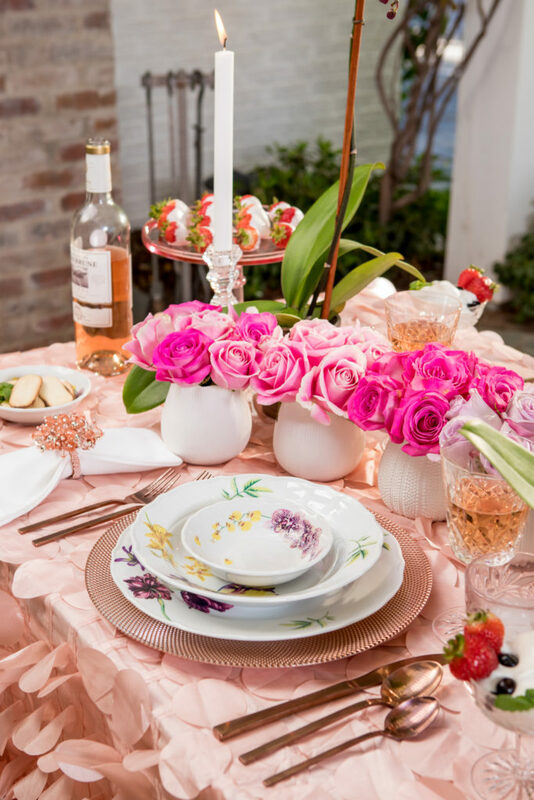 I’ve used it for baby showers, wedding showers, gift tables and now, my Valentine’s Day table for two! 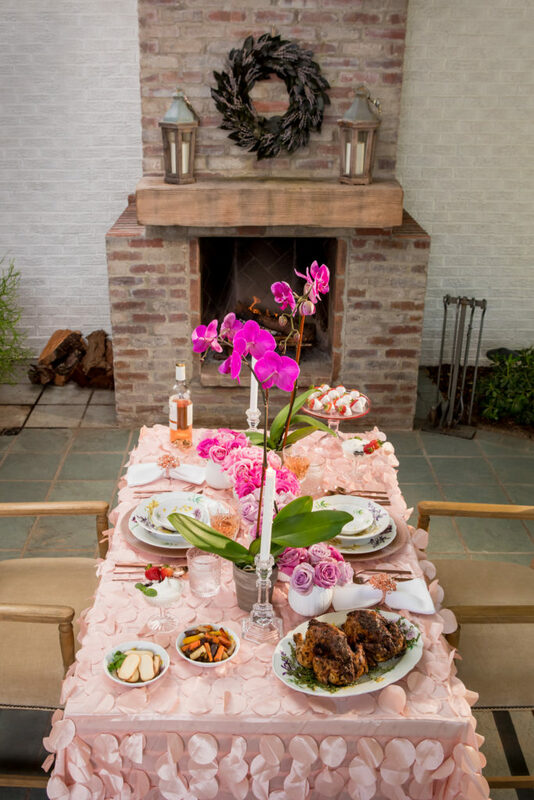 Our setting was an outdoor patio situated just a few feet from a cozy wood-burning fireplace. I pulled two arm chairs from my dining room to give a grand (and comfortable!) appearance. Once again, Trader Joe’s came through with flowers for my table. 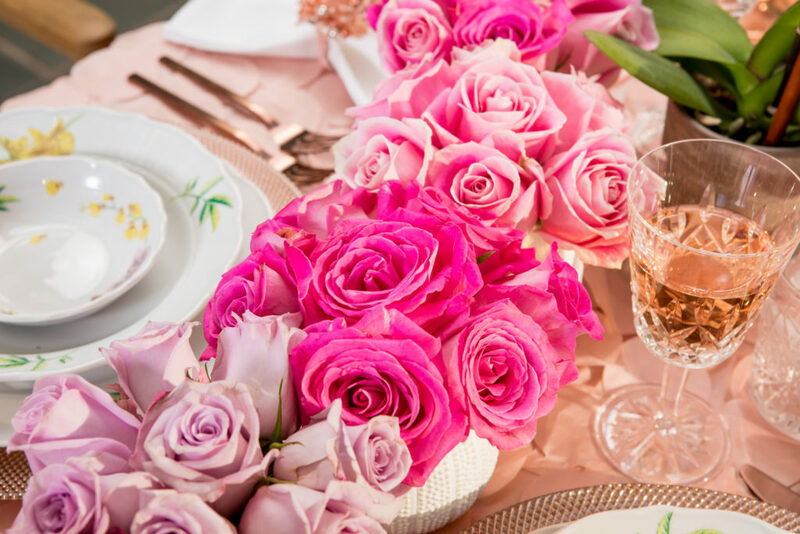 I selected an ombré of pink and purple roses and arranged them in a soft curve down the middle of the table. 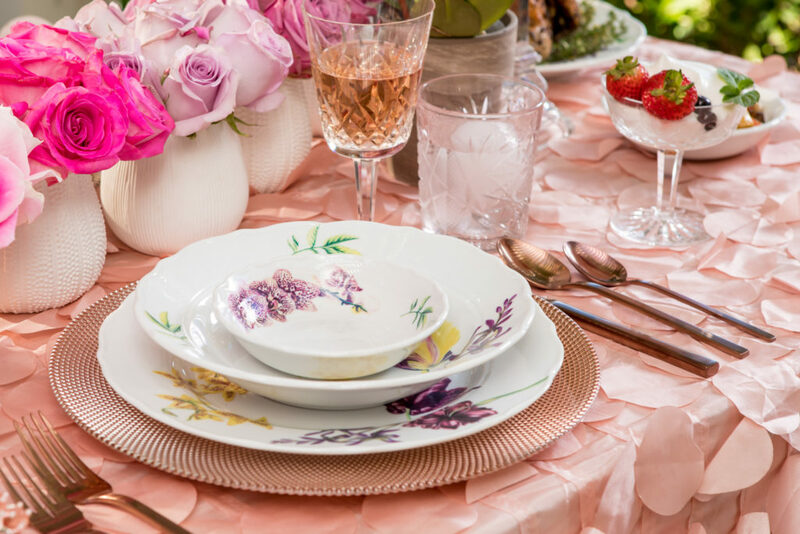 When thinking about dinnerware, there’s a fine line between too feminine and not enough character – I think this place setting fits the bill for both. 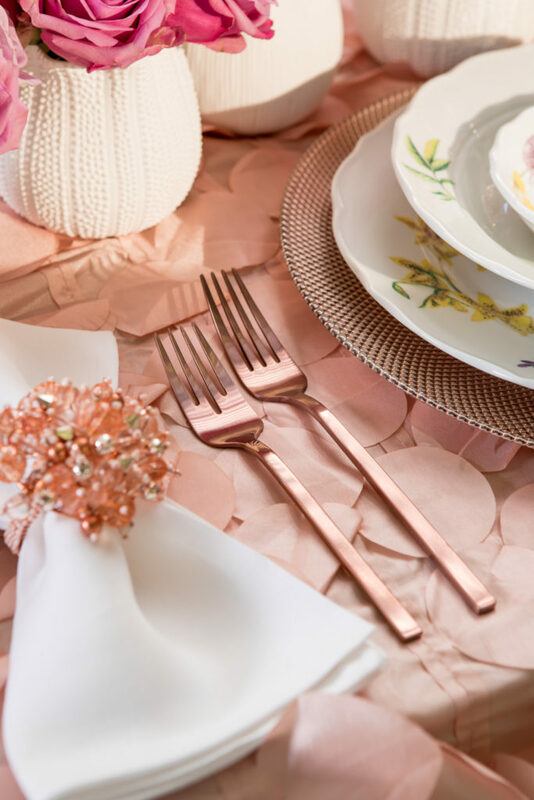 Of course I needed rose gold flatware to complete the look . . . It wouldn’t be romantic without candles in beautiful crystal candlesticks. We borrowed some fantastic recipes from Thanksgiving.com to prepare our special dinner. Cornish game hens with a Cuban flair (link here: https://www.thanksgiving.com/recipes/main-dish-recipes/fantastic-new-years-day-main-course-ideas-that-will-please-a-crowd), Indian-spiced roasted herbed heirloom carrots (recipe here: https://www.thanksgiving.com/recipes/side-dish-recipes/indian-spiced-roasted-carrots-creamy-dressing-walnut-parsley-topping) and strawberries with a marshmallow cream (it’s actually vegan!) rounded out the menu for the night. How beautiful are the Cornish game hens? With just the right amount of crisp skin, they are a great portion for two people! I found these orchids at Trader Joe’s and simply kept them in their pots, facing the middle of the table. This created a heart tunnel under for the beloved on the other side! These two purple orchids faced each other to form a heart under which to dine – it doesn’t get much more romantic than that! We added some soft white throws on the backs of the chairs for extra warmth and had dreamy music playing quietly over the speakers. Thanks so much Holly! It’s such a fun holiday to decorate for! Lovely! Rethinking my dinner reservation….